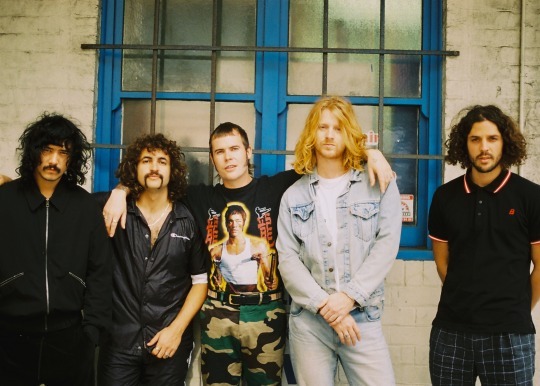 Australian chart-toppers Sticky Fingers just released their best album yet. By no means is this mere hyperbole or grandstanding; in Yours To Keep, the Australian band feels more assured in their distinctive sound than ever, which is certainly saying something given the success of their past three albums. The band’s first album in over two years, Yours To Keep strikes a profound balance between Sticky Fingers’ stadium-ready sound and their more tender inclinations. Best described as the illicit lovechild of a fling between Manchester rock and Kingston dub that was raised on a healthy dose of rock and roll, the Australian rock band feels wholly familiar yet not quite like anything else of recent memory. Opening on the expansive 11-track offering on “Sleep Alone,” Sticky Fingers wastes no time illustrating one of their greatest strengths. Incorporating a wealth of varying subtle production details, varying genre influences, and unwavering instrumentation, each track on Yours To Keep is brimming with energy without ever feeling cumbersome or overburdened. It is a skill the Australian rock band deftly employs to examine themes ranging from overarching government control on our daily lives, the passing of a dear friend, and substance abuse. While a track likes “Loose Ends,” which tackles the aforementioned notion of the role government plays in our lives, sees the band leaning into their Manchester rock roots, Sticky Fingers is arguably best served in their quieter moments. Leaning fully into their reggae inclinations on a song like “Cool & Calm,” Sticky Fingers carves out a striking pocket of sincere tenderness. It is an enveloping warmth they carry with them on the following tracks “Another Episode” and “Not Done Yet,” which altogether make up the perfect backing soundtrack for a long train ride through a foreign countryside. 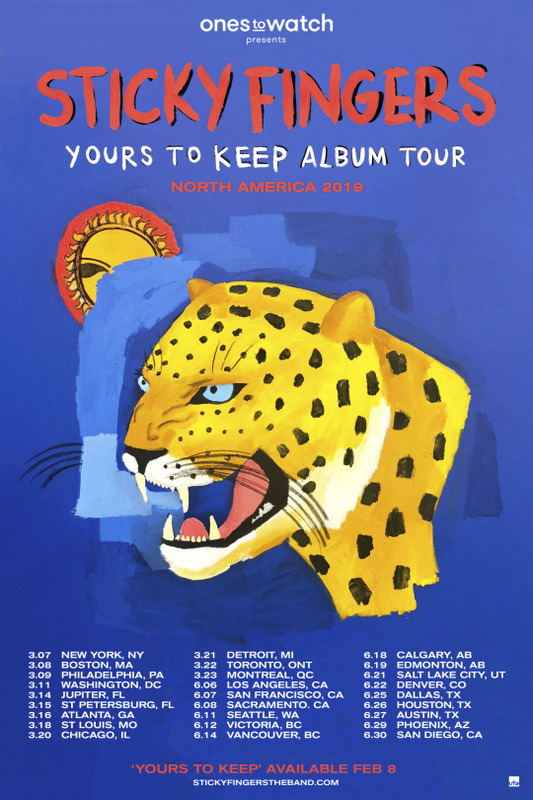 Set to embark on a massive Ones To Watch presented North American tour in support of Yours To Keep, new and old fans alike will get to experience a show informed by both an impressive discography and a phenomenal new work. The profound balance of sadness and underlying optimism Sticky Fingers has brought to the forefront of their fourth studio album has all the hallmarks of an instant and lasting classic. April 2, 2019 If you missed their March dates, catch Sticky Fingers this summer when they’re playing in a city near you! March 18, 2019 We followed the hilariously entertaining boys of Sticky Fingers on the first date of their tour, in none other than New York City.